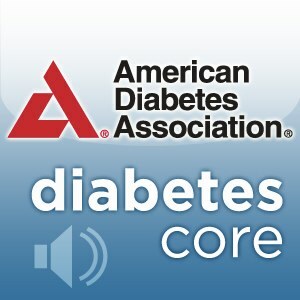 Diabetes Core Update is a monthly podcast that presents and discusses the latest clinically relevant articles from the American Diabetes Association’s four science and medical journals – Diabetes, Diabetes Care, Clinical Diabetes, and Diabetes Spectrum. Each episode is approximately 20 minutes and presents 5-6 recently published articles from ADA journals. In this special edition of Diabetes Core Update we will be interviewing faculty presenting during the American Diabetes Association’s Scientific Sessions “Diabetes is Primary” Primary Care Conference on June 14th, 2014. On this podcast we will be hearing highlights of a talk given by Dr. Charles Shaefer, on Screening and Prevention of Diabetes and a talk given by Melanie Marbry on Diabetes Survival Skills. In this special edition of Diabetes Core Update we will be interviewing faculty presenting during the American Diabetes Association’s Scientific Sessions “Diabetes is Primary” Primary Care Conference on June 14th, 2014. Carol Wysham, Clinical Associate Professor of Medicine, Univesity of Washington. the Epidemic of Obesity and Diabetes? Health Be Damned! Diabetes Core Update is a monthly podcast that presents and discusses the latest clinically relevant articles from the American Diabetes Association’s four science and medical journals – Diabetes, Diabetes Care, Clinical Diabetes, and Diabetes Spectrum. Each episode is approximately 15 minutes long and presents 5-6 recently published articles from ADA journals. This special edition discusses the consensus statement on Diabetes in Older Adults published in the Deceber issue of Diabetes Care.